Lightning of a room creates an aura of elegance and comfort to the decor of the rooms. Lamp shades are one of those means that brighten up the rooms along with adding style and class to the decor. Illumination exuded by lamp shades and that too with Jute Lam shades can spell the difference. Any corner of the establishment be it living room, library, dining room, study room or bedroom, Jute lamp shades make it comforting and appealing. With these lampshades, even the most unassuming nook can be easily turned to a point of attraction for the onlookers. Jute Lamp shades designed from jute are available in varied interesting as well as deviant designs, sizes and shapes to enhance the beauty of home decor. These highly graceful pieces of art and work make every evening sophisticated. Jute lamp shades are highly creative masterpieces dyed in attractive hues. They are designed from the supple and luster jute cloth in varied artistic designs to create a something amazing. In addition to this, there are infinite possibilities for adornments of lamp shades. They are beautified with pearly conches, embroideries, appliquÃ©s, striking glass, semi precious gems, crystals, beads and so on. With endless shades and patterns, jute lamp shades complement any kind of interiors of the room, wall and furniture. 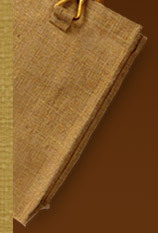 Jute Lamp Shades are highly durable that provide high performance for a longer period of time. They can be cleaned easily with a damp cloth and need no special care and maintenance. Easy to place, they are reckoned in the market for light weight, efficacy and strength. With sturdy nature, they ensure of high wear and tear resistant property without any abrasion. The biggest advantage of these types of lamp shades is their cost effectiveness. 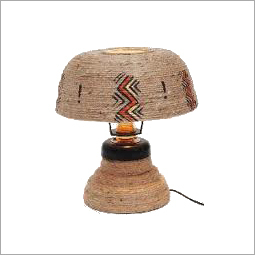 Handcrafted, fancy and stylish jute lamp shades are availed at low prices compared to the lamps designed from other materials.